Posted September 11, 2009 in Kevin J. Mulder, Thor. 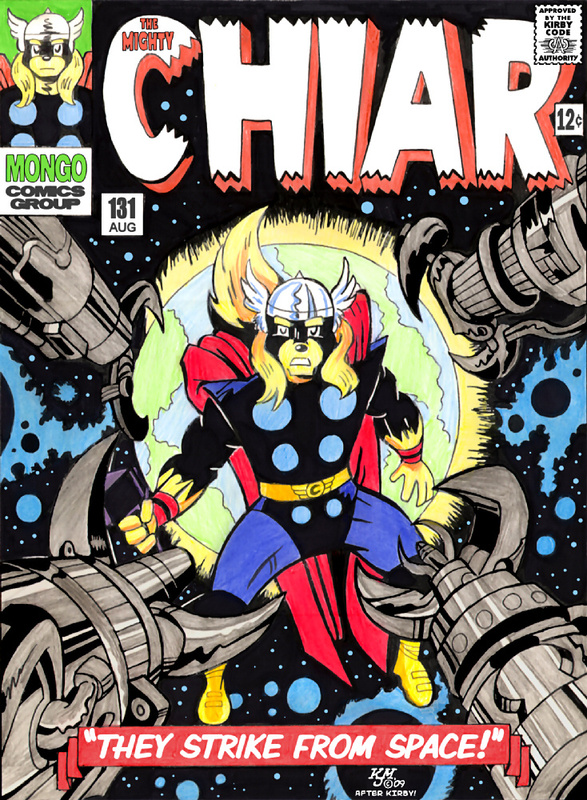 The Mighty Thor #131 re-imagined by Kevin J. Mulder. Kevin describes himself as a “hobby-level cartoonist… specializing in funny-animal/”furry” art”. This piece is one of several ‘Furry’ cover spoofs which can be found at Kevin’s Gallery via Furaffinity. Original cover, by Jack Kirby and Vince Colletta, can be found here.